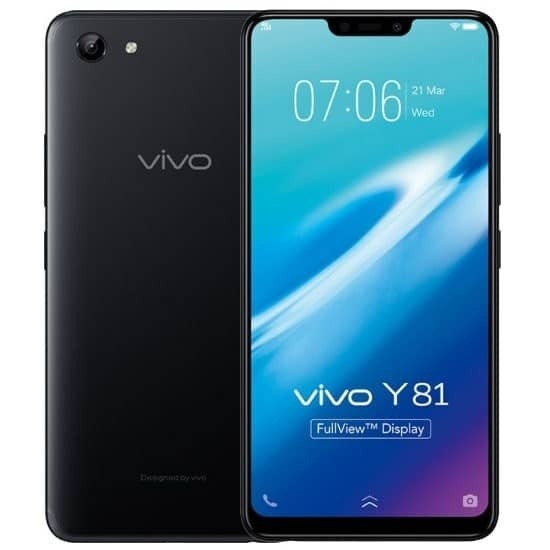 Vivo Y81 has been launched by the company in Taiwan, as the watered-down version of the Y83 mid-range smartphone. The Y81 was released by the FIFA World Cup 2018 official smartphone partner for those that won’t be able to afford the Y83. After popping up on various certification websites, the Y81 comes with almost the same specs we saw on its bigger sibling. However, there’s now 3GB of RAM, 32GB storage and a tall 6.22-inch screen, lets find out more. What is Vivo Y81 Price and Availability Status? It looks like the typical Vivo mid-range smartphone from the back with no major upgrades in terms of design. It has the same Plastic-like body as usual, with the rear fingerprint scanner missing which is really disappointing. It measures 7.8 mm in thickness and weighs 146.5g overall as well. The rear camera and LED flash are at a vertical format at the top left corner giving the device a sleek vibe. The Vivo logo is also present as well. The Y81 adopts the same tall 19:9 aspect ratio screen we saw on the Y83 couple of weeks ago. The notch still measures the same, with Vivo not bothered about reducing it. The bottom chin is also pretty much still visible as well. The tall 6.22-inch HD+ IPS LCD touchscreen boasts of 720 x 1520 pixels in resolution. Furthermore, it has a pixel per inch density of 270 and stretches up to 83% screen to body ratio. The screen is also as solid as they come, with a Corning Gorilla Glass on top. Under the hood, the popular Mediatek MT6762 Helio P22 chip reigns under the hood. It was built on a 12nm FinFET process technology offering amazing performance. The octa-core processor clocks at a fast speed of 2.0GHz. While the PowerVR GE8320 manages graphics. For multitasking, there’s 3GB of RAM space available with a memory speed that clocks more than 1GHz. In the storage department, you get 32GB storage space and an option to upgrade up to 256GB using a memory card. It runs on Android 8.1 Oreo with Funtouch OS 4.0. At the rear, the 13MP rear camera has f/2.2 and comes with a LED flash as well. Other features on the camera includes phase detection autofocus, geo-tagging, touch focus, face detection, HDR and panorama. You can easily record videos of 1080p@30fps and take cute selfies with the 5MP selfie camera which has f/2.2 aperture. Powering the Vivo Y81 is a 3260mAh non-removable Li-Po battery with fast charging technology. With the fast charging feature, charging the battery from 0% to 100% shouldn’t take up to 1.9 hours. 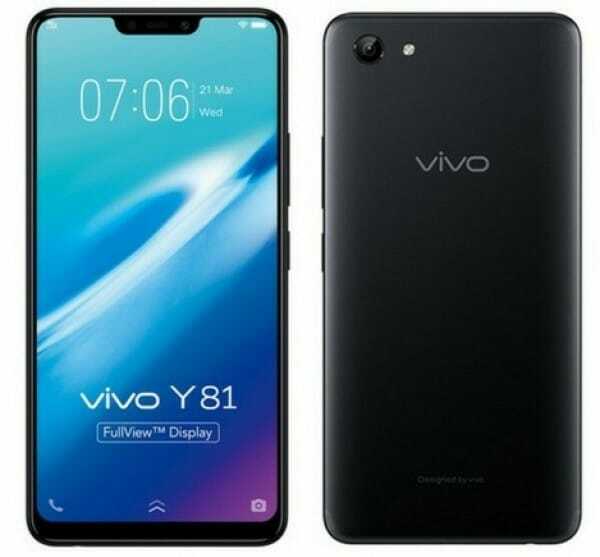 The Vivo Y81 is available on Shopping stores, starting from $199 (N70,000) to $249 (N85,000). 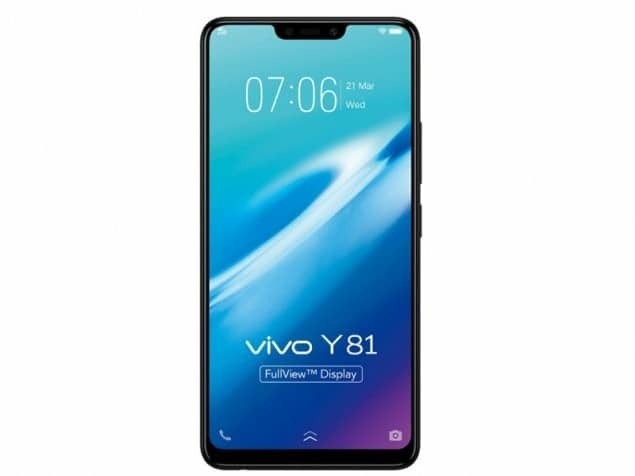 Click on the links above to view the latest Vivo Y81 price & availability on Shopping stores. 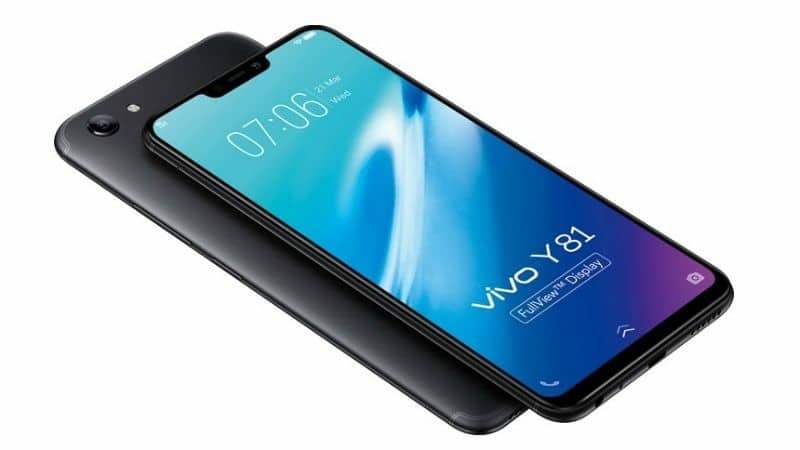 Vivo Y81 has been launched by the company in Taiwan, as the watered-down version of the Y83 mid-range smartphone. The Y81 was released by the FIFA World Cup 2018 official smartphone partner for those that won't be able to afford the Y83. After popping up on various certification websites, the Y81 comes with almost the same specs we saw on its bigger sibling. However, there's now 3GB of RAM, 32GB storage and a tall 6.22-inch screen.